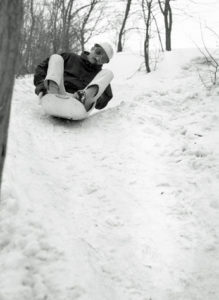 As part of a materials study for BASF, Herbert Lindinger designed a bobsleigh in the winter of 1964. The glass-fibre-reinforced material proved to be too brittle though. There are stamps that bear witness to history in the shape of the Elphilharmonie concert hall in Hamburg, to the Bauhaus or even characters from the world of German comedy. Deutsche Post has now brought out the Design from Germany commemorative stamps. It’s paying tribute to German designers from around one years of design history. Werkbund founder Peter Behrens represents furniture, receptacles, products and transport, then there are the Bauhaus protagonists Wilhelm Wagenfeld, Marcel Breuer and Marianne Brandt, the mid-century designers Hans-Theo Baumann and Günter Kupetz, German high-speed train designers Alexander Neumeister and Luigi Colani. Herbert Hirche, Bauhaus scholar and important designer of post-war modernism, is also in the collection. In the 1950s, he created key chair designs for Wilkhahn, but was also the architect of Wilkhahn’s office building (1959) in Bad Münder. His stamp had already been produced in August 1990 and cost DM 1.10 back then. A “low cost workspace chair with few mechanics” that would “relax the body by offering a varied range of opportunities for movement” was just one of the items Herbert Lindinger designed for Wilkhahn. 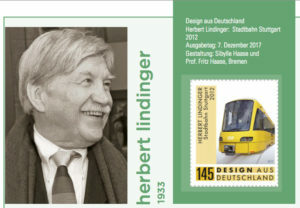 Since 7 December 2017, there has also been a stamp with the Stuttgart urban railway launched in 2012 that was the responsibility of Austrian designer Herbert Lindinger. 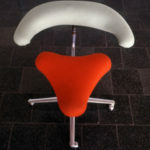 From the 1970s, Lindinger held the chair for industrial design at Leibniz University in Hanover and, in addition to industrial products ranging from the telephone to the sewing machine, primarily designed public transportation projects. He was responsible for wagons for the Austrian railways and underground and light railway carriages in Hamburg, Hanover, Berlin and Stuttgart. He also enjoyed experimenting with new materials and even came up with a bobsleigh as part of a study for BASF. He had already anticipated Wilkhahn’s dynamic sitting philosophy in the 1960s: His design for a “low cost workplace chair with few mechanics” that would “relax the body by offering a varied range of opportunities for movement” was produced in 1968. Even if no direct collaboration ever came about: Lindinger acted as a consultant to the company and is still a good friend right up until today. 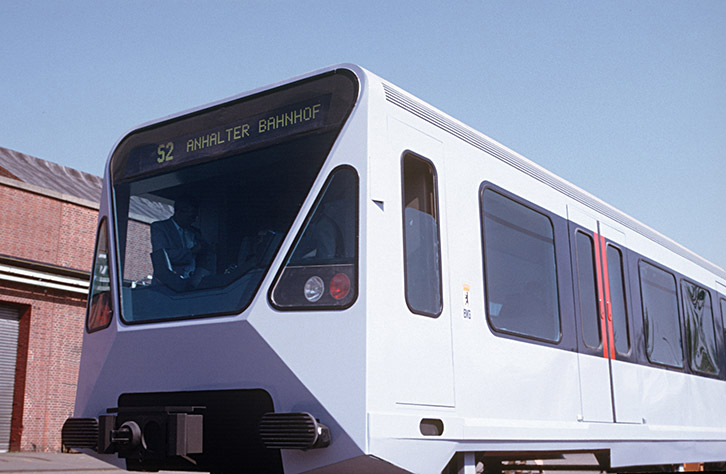 S-Bahn vehicle in Berlin based on a design by Herbert Lindinger (1985/86). A version with a traditional red-yellow colourway was made. Portrait of Herbert Lindinger and stamp in Deutsche Post’s new set. For more about Wilkhahn’s history and collaboration with famous designers click here: Wilkhahn Internetseite.